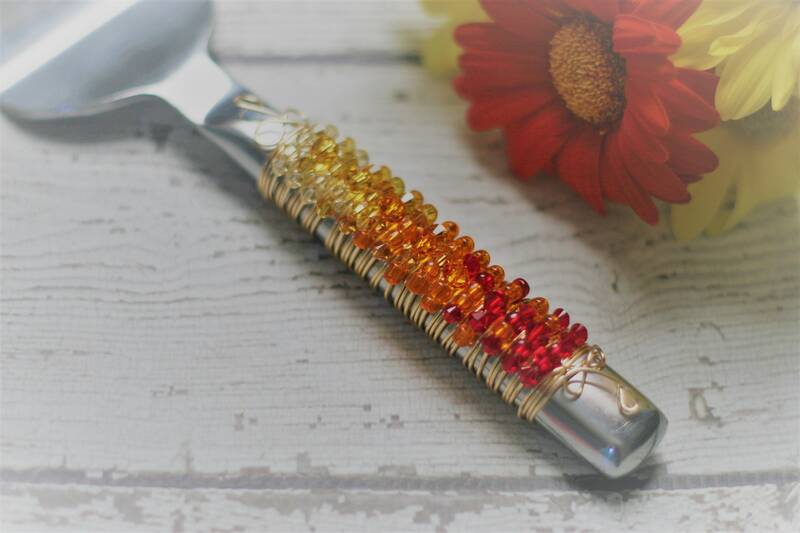 Inspired by Couture Style and Chic Designs, this beautiful beaded Ombre Fire themed cake server is perfect for birthdays, special events and dinner parties. This is a MADE TO ORDER ITEM. Bead placement will vary slightly. I use a non-tarnishing silver wire and a variety of red, orange and yellow SWAROVSKI beads.